Aston Martin is great. James Bond is great. Combined, they make for the worst, most godawful, shameless branding exercise we’ve seen this side of a Bill Blass edition Lincoln. 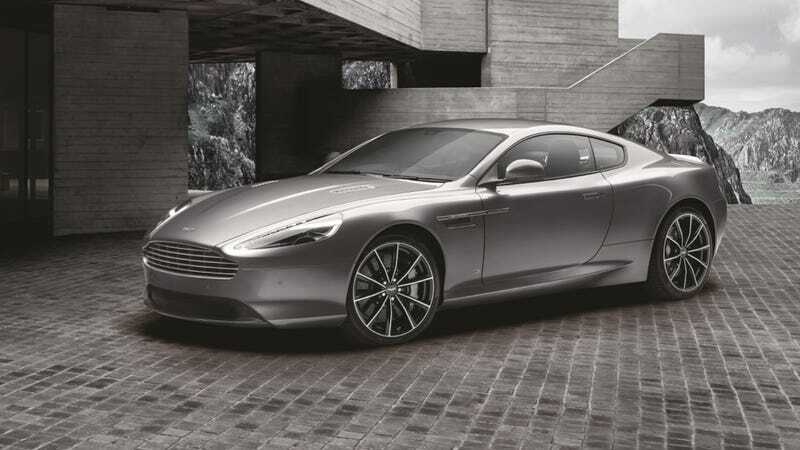 The new Aston Martin DB9 GT James Bond Edition is a travesty, and James Bond would never drive it. It’s the most sad, depressing amalgamation of random bits and baubles that has ever besmirched an Aston. If Q presented the James Bond Edition to James Bond, he’d be fired on the spot immediately. Remember, this is an Aston Martin, built to evoke James Bond. Mr. Bond has traditionally favored Astons (but also other cars) and he’s going to drive one in an upcoming movie, but he doesn’t drive Astons that have his own name on it. Because he doesn’t need his own name on it. He’s cool enough as it is. If he went around telling people “LOOK HOW COOL I AM,” he wouldn’t be Very Cool at all. And Astons come from the same vein. Put on a tuxedo, get in your Aston, and you are cool. Invite a gentleman or lady caller into your car, and all that magic instantly vanishes the moment you point out to them the “special Bond Edition start-up screen” on the infotainment system. Not when you show them the non-existent ejector seat. Not when you show them the lasers that don’t come out of the (admittedly pretty!) watch. Luckily, since you can afford the £165,000 price tag, you can probably also afford to pay their medical bills as they jump out of the moving vehicle. On the other hand, good on Aston Martin for embracing (and hopefully profiting from) the most obvious product tie-in/special edition car in existence. We all got bills to pay, right?